Are you thinking about selling your house, but you feel like that it’s not worth more than a few thousand dollars because of your Okc plumbing? Do you have those seeping sinks and clogged drainage systems owing to which no one seems interested in buying your place. Or maybe you are looking to get your home renovated. Aha! Then folks you are on the right track. 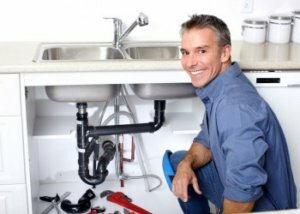 A quality plumbing service can undoubtedly ramp up the value of your house. The price and the worth of a furnished home skyrockets, if you hire a certified plumber, who can completely transform the picture of your house. The kitchen is the most used room of the house so, if you really want to boost the price of your home, then a modern kitchen plays a key role. Certainly such transformations demand some kind of top-notch quality expert services. So, folks hand it over to your plumbers and allow them to replace your busted pipes or blocked sinks with new stainless steel sinks, with your new granite tops. A perfectly matched water and drainage system will not only give an up to date, but also make sure you have no problems in the future. It will also aid in adding value to your house. A little innovation by an experienced tech will surely add spark to your old and lifeless house. It will certainly catch the attention of your friends or a home buyer. A luxurious and hygienic bathroom is a perfect blend of a modern architecture. Leaking faucets or low-pressured showers are never a good sight. So ladies a professional can provide a perfect solution to all your problems. Leaving you totally stress free. Sewer smell, old knobs and dripping taps would only lower the worth of your home sweet home. So get it all refurbished. Let your plumber install new innovative socket face plates and switches. Let him do a complete makeover of your bathroom. Allow him to setup Nebia showers, electric hand dryer, new supply and drain pipes, bathtubs or even new toilet seats. A quality company can verily change the complete overlook of your house. Plus it would be weighed high in the eyes of a buyer, if you might be planning on selling one. A sensible, affordable and skillful professional is an asset. Hence only a quality plumber can guarantee you a perfectly home system which will add appeal to your house. Getting water supply lines fixed and leakage pipes replaced will surely be a healthy step in making your house a much more comfortable place to live in. A proper disposal and sanitation system speaks high volumes of the maintenance of your home. So, pick up your phone friends and get yourselves an experienced and skilled Okc plumber . You are just a few dollars away from living in a spick and span home. You can surely turn your current place into your dream home.